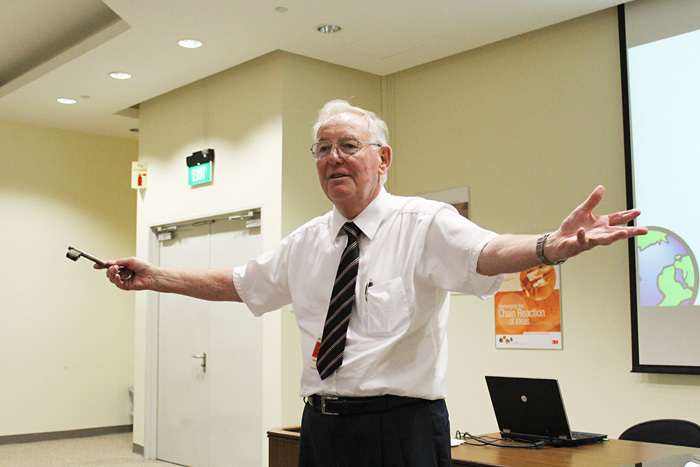 The story of Post-it Notes is one of the most successful failure stories of the 20th century, and we were there at 3M to hear it being told from the “father of Post-it notes” himself; Dr. Geoff Nicholson. Dr. Nicholson worked at 3M Corporation from 1963 to 2001, retired as Vice President of International Technical Operations and remains a 3M Ambassador for Innovation. He is a sprightly old man with snowy white hair, and speaking with him you get the sense that a luminant mind still shines behind his silver spectacles. In 1968, a 3M chemist named Spencer Silver was trying to create a better adhesive. But instead, Silver accidentally discovered a weak adhesive, which would stick to a surface but could be peeled off easily. For five years, Silver tried to find a way to use this new glue – an invention which 3M has described as “a solution without a problem” – but to no avail. His own managers kept telling Dr. Nicholson, then an executive at 3M, to kill the project. He would agree but then turn around and keep it afloat as part of 3M’s 15 per cent programme, which allowed employees to use 15 percent of their working hours to work on personal projects (if it sounds familiar, Dr. Nicholson says Google based their similar 20 percent time program on 3M’s). To prove that the Post-it notes had legs, Dr. Nicholson and Joe Ramey went to Richmond, Virginia, to conduct their own market research, by giving away free samples and demonstrations. 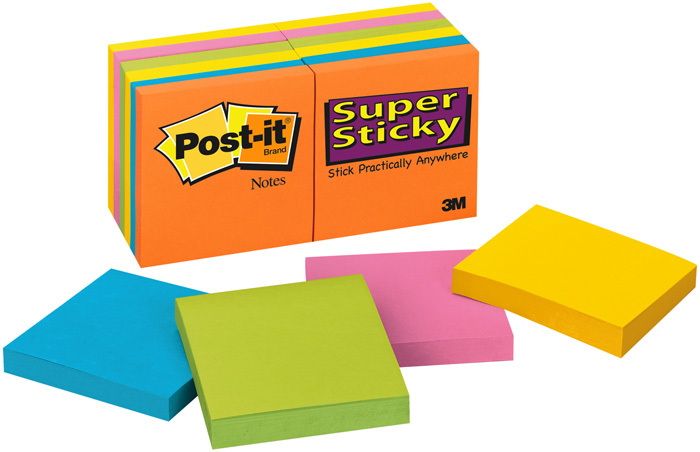 The product was a hit, and after one more real-world market test, 3M finally decided to launch Post-it notes as a product. In 1980, Post-it notes launched in the United States, and one year later it received a Golden Step award, which 3M gives to any product with more than two million dollars in revenue. In 1998, a 3M spokesman said that worldwide sales of Post-in notes and related products were worth around one billion dollars a year.